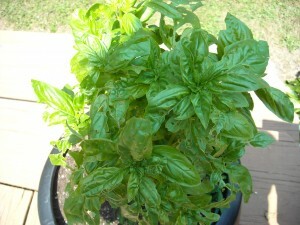 I love the fresh smell of basil. It picks me up just to smell it on a day when I am feeling a bit down! Just when we feel like we are the only one with problems, someone tops everything we ever negatively dreamed of with a problem that cannot be fixed. Hopefully, your problems, and many of mine, are fixable with an attitude change. We all fall into negativity at times, and we should realize of course that you can practice positive thought, just as you practice other skills and activities. If I put in as much effort into my positive skill building as my exercise routine, I probably would be a much happier and balanced soul. Practice is the key to any new skill. You can practice some old skills that need some brushing up on such as learning to write down your thoughts and feelings so that you can physically see what you are thinking. I don’t know how many times someone has told me to write things down. That is why I started this blog. It keeps me honest about what I am thinking about for the day! So get out of the funk and change your attitude for the day! This entry was posted on Monday, September 10th, 2012 at 9:22 am	and is filed under Accepting Change, Body-Mind Medicine, Mental Wellness. You can follow any responses to this entry through the RSS 2.0 feed. You can leave a response, or trackback from your own site.